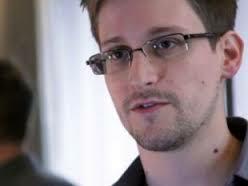 US: An upcoming book by Guardian reporter Glenn Greenwald, who was among the first to reveal details of the US government's vast surveillance programmes, promises fresh revelations, his publisher said Thursday. The book by Greenwald -- the investigative reporter who published documents leaked by Edward Snowden, a former National Security Agency contractor -- is to be published next March, said Metropolitan Books, a unit of the Macmillan group. The book, as yet untitled, will contain "new revelations exposing the extraordinary cooperation of private industry and the far-reaching consequences of the government's programme, both domestically and abroad," a statement by the publisher said. Greenwald's articles in Britain's The Guardian and reports published at the same time by the Washington Post disclosed details of the PRISM programme, in which the NSA acquired data from Internet giants like Microsoft, Google and Facebook. Both reports used documents from Snowden, a former NSA IT specialist with access to classified materials who is now holed up at Moscow's airport after fleeing US espionage charges. The reports said the NSA had direct access to the servers of the major Internet firms and could track an individual's web presence via audio, video, photographs and emails.